The MR Direct T3121L ensemble provides the best of both worlds in stainless steel kitchen sink design. This topmount model combines the trendy D-shape of its larger bowl with a smaller and shallower prep-type basin. The faucet can be tucked into the pre-drilled hole in the rim behind the sink divide. Construction of superior-grade 304 stainless steel at an 18-gauge thickness makes the T3121L extremely durable. On a practical note, it has sound-dampening pads, insulation, and offset drains. 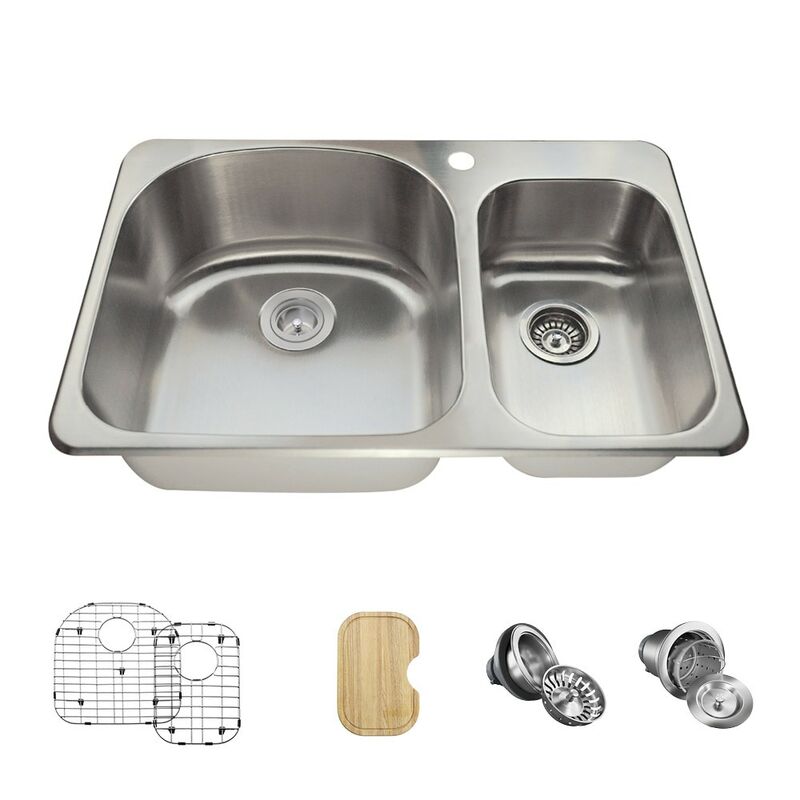 Several convenient accessories are included in this ensemble: a beautiful, natural-wood cutting board custom-built to fit over the smaller bowl; custom-designed grids tailored to keep items off of the basin bottoms; and strainers to catch scrap materials.